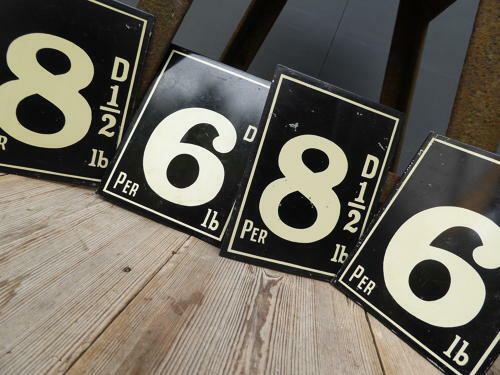 A wonderful set of vintage tole grocers price tags. Four toleware (tin) price tags in wonderful condition by W Mills & Son of Tottenham, London. A lovely touch for any antique or vintage themed kitchen or cafe! UK courier service available at £6 tracked & signed for 24 hour delivery.